At Redwood Landscaping, we believe you should be able to enjoy your yard year round. One way of doing this is having an outdoor kitchen. For customers in Mesa and nearby towns, an outdoor kitchen makes sense in the summer heat and the cool winter months. You will have the convenience of having a permanent place to cook outdoors for family or for entertaining. In the hot summer months, outdoor cooking can help keep your house cool. In the cool winter months, the outdoor kitchen can add to the variety of your meals. 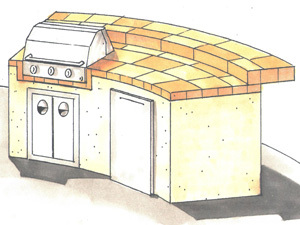 An outdoor kitchen is one way of enhancing your property by adding a feature you will use. No more hassles of dragging out a barbeque grill to have a cookout. You can have a permanent BBQ Island with enough countertop area to make cooking a pleasure. Outdoor kitchens are stylish and versatile. If you are cooking a meal that will leave lingering odors, an outdoor kitchen will let a breeze take away any smells. Grilling can be a healthier option for cooking. The BBQ Island is not just a fancy grill. There is ample counter space to set pans, dishes and anything you may need for a meal. If you opt to have the refrigerator, entertaining will never be easier. Your guests will have cold drinks at their fingertips. Your salads will stay cool and fresh as you prepare the hot food. Why have a Redwood Landscaping Install an Outdoor Kitchen? Call Redwood Landscaping today for a landscaping and outdoor kitchen design session and free estimate. We will help you create an oasis for entertaining. Our reputation for superior service and expert outdoor kitchen installation in the Mesa, Chandler, Apache Junction, Queen Creek, Gilbert and Tempe areas is unmatched by our competitors and all of our work is backed by our 100% satisfaction guarantee. 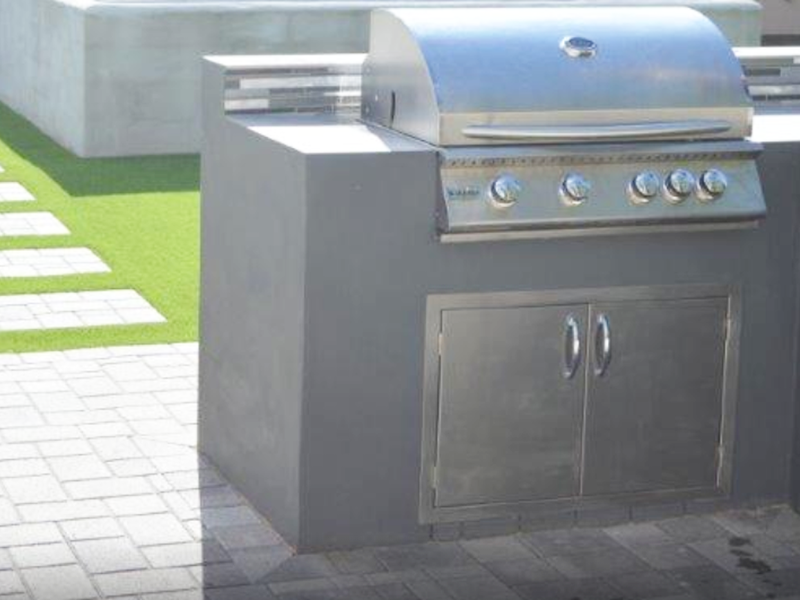 Additionally, we can improve the overall versatility of your design aesthetic incorporating your new outdoor kitchen or BBQ Island with our range of landscaping and hardscaping options. When you trust Redwood Landscaping with your outdoor modification needs, youll be getting the benefits of over 10 years experience in the industry. Contact us today for your complimentary consultation and our friendly landscape architects will be able to answer any of your questions.